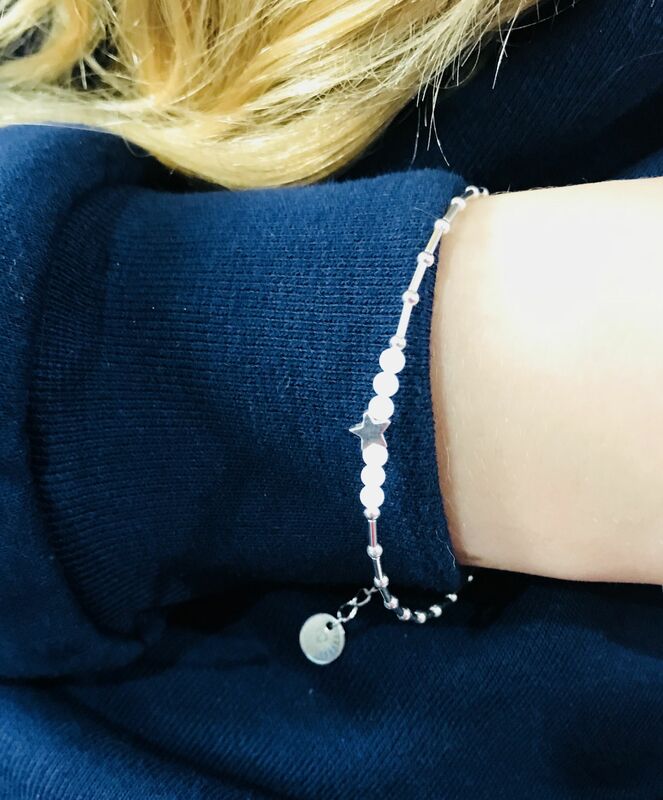 A beautiful hand beaded bracelet with milky opals and a sterling silver star in the centre. 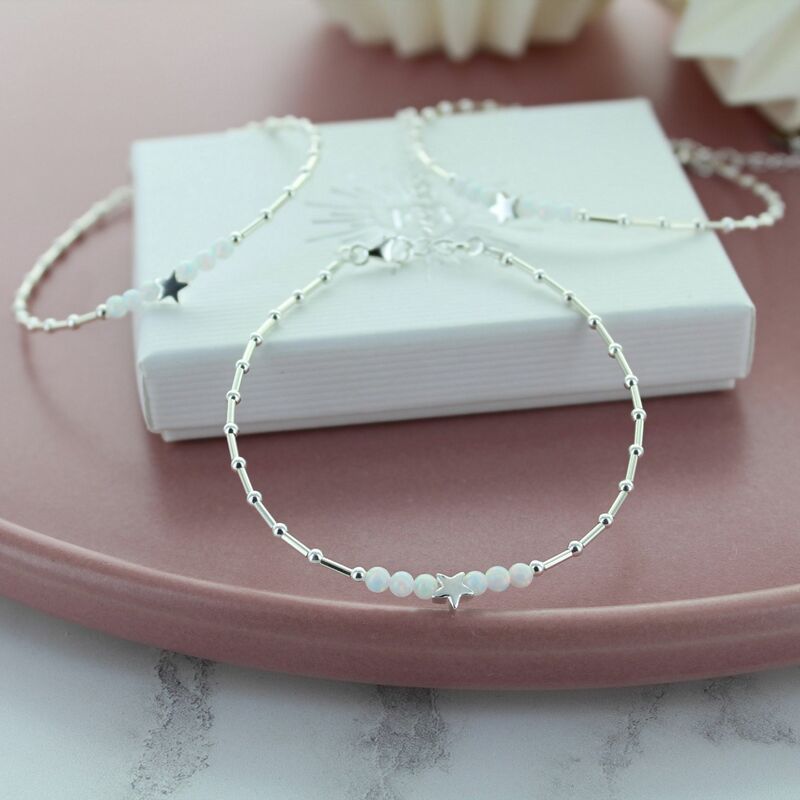 The hand beaded sterling silver opal star beaded bracelet would make a great gift for any recipient. 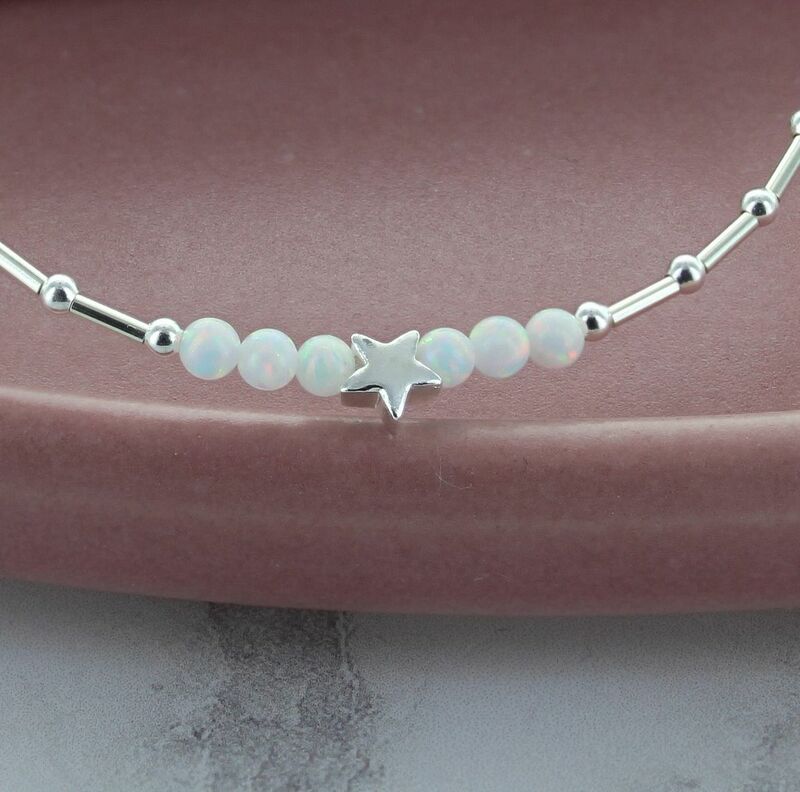 The sterling silver beads are mixed with sterling silver tubes that meet with beautifully electric coloured milky opals with a small star bead in the centre. Each bracelet arrives in a striking white gift box with a contrasting logo. 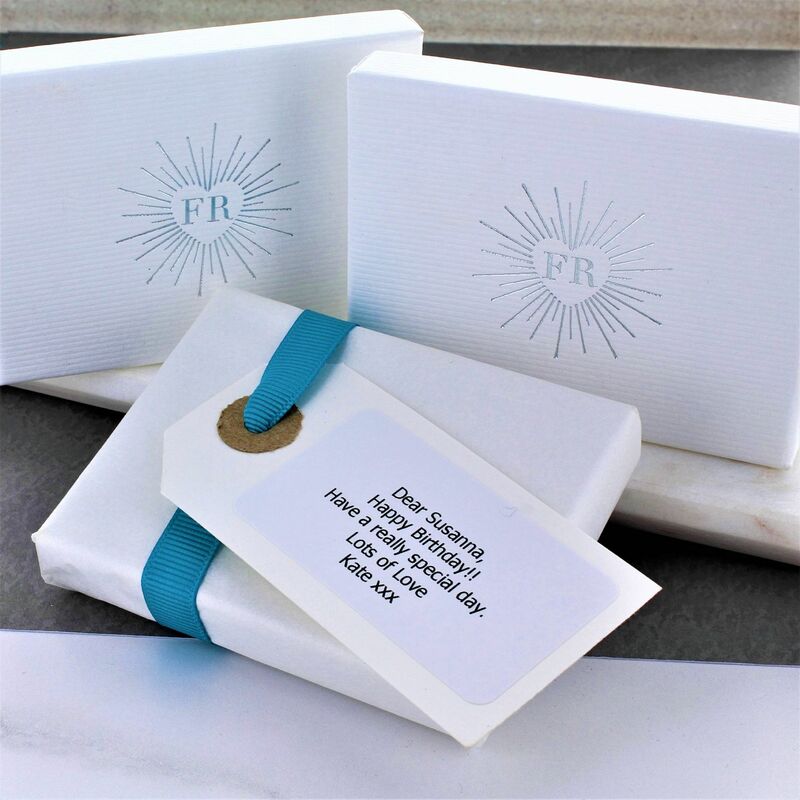 A free gift wrapping service with a personalised message is also available on request.